This year’s event is being graciously hosted at Brooklyn Borough Hall by the Office of Brooklyn Borough President Marty Markowitz. 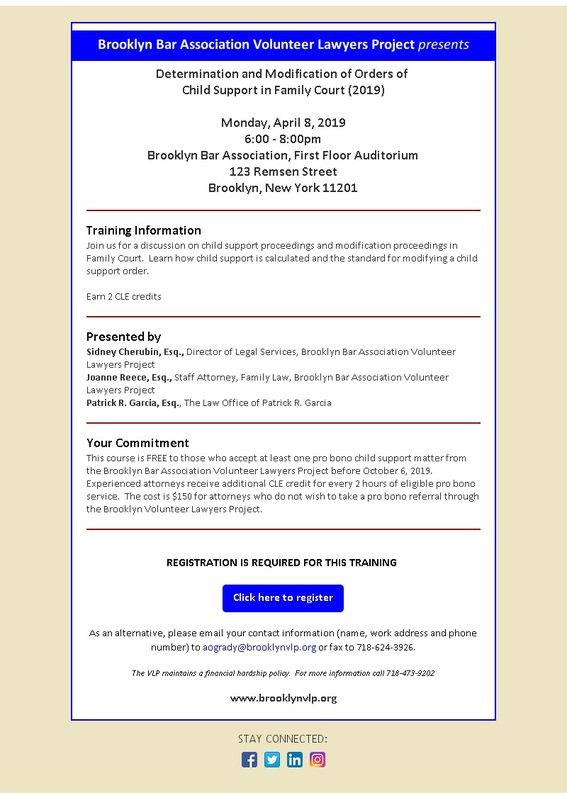 Please join us Monday, November 30 from 6:00 – 8:00 PM at Brooklyn Borough Hall, 209 Joralemon Street, for the Brooklyn Bar Association Volunteer Lawyers Project 2009 Volunteer Recognition Event. 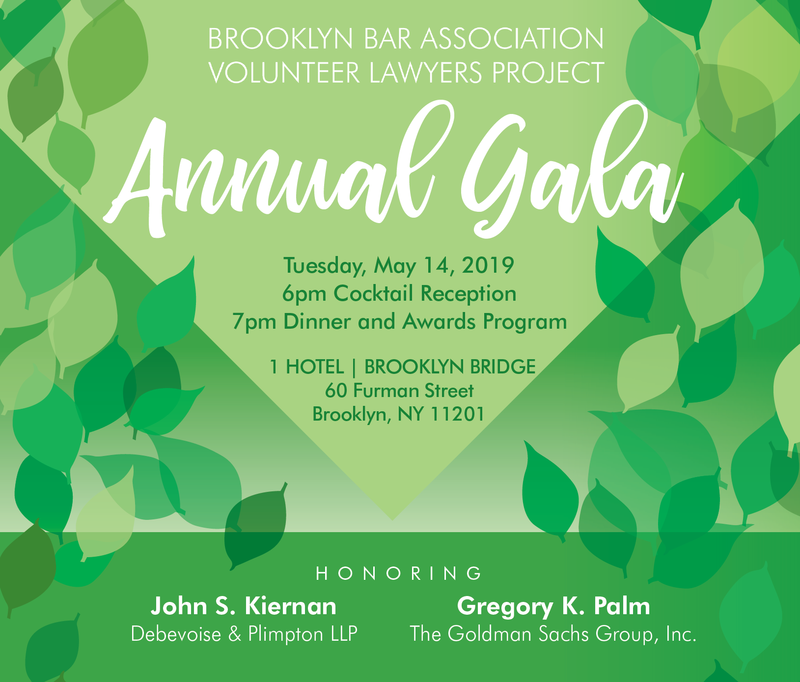 Help us celebrate the outstanding efforts of the volunteers who have made it possible for the VLP to provide critically-needed legal services to low-income Brooklyn residents in 2009. In addition to recognizing the many legal professionals who volunteered with the VLP this year, we will present the Terri and Nick Letica Award for Outstanding Support of Pro Bono to Hon. Ellen M. Spodek, Kings County Supreme Court; and the Christopher Slattery Young Professional Award to Christopher Rio. We will also recognize the law firm of Davis Polk with the Katherine A. Warren Award for Exceptional Achievement in Pro Bono Service for the Davis Polk Pro Se Uncontested Divorce Clinic. Wine, hors d’oeuvres and dessert will be served, once again this year generously sponsored by TD Bank. 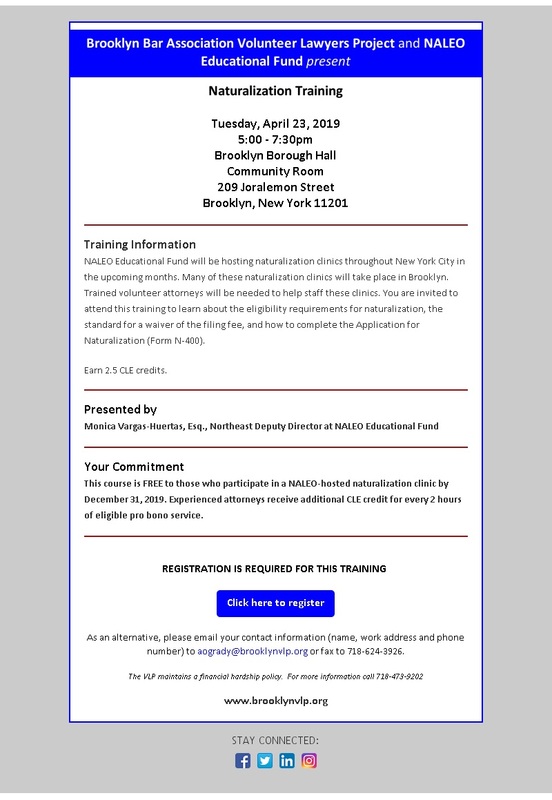 We look forward to seeing you on the 30th.